January 23rd is National Pie Day, but that doesn’t mean you have to wait until then to enjoy one of America’s favorite desserts. There are all kinds of pie to enjoy, and there’s never a wrong time to partake of a piece of pie. Whether you love a juicy fruit pie bursting with warm, ripe fruit, a rich, delicious cream pie, a sumptuous nut-topped pecan pie, a fluffy meringue pie, a savory mincemeat pie, or a taste-of-home chicken pot pie, if you’re like most of us, you’re hard-pressed to say “no” when someone offers you a piece of your favorite pie. But what is your favorite kind of pie, and what does it say about your personality? Pumpkin pie. A staple of most folks’ Thanksgiving dinner, pumpkin pie is simple and classic. It’s basically a “no frills” kind of pie, and if it’s your favorite pie of all, you’re probably a “no frills” kind of person, too. Pumpkin pie is one of the first signs that fall is in the air, and if this classic pie is at the top of your list, fall is likely your favorite season of the year. Cherry pie. 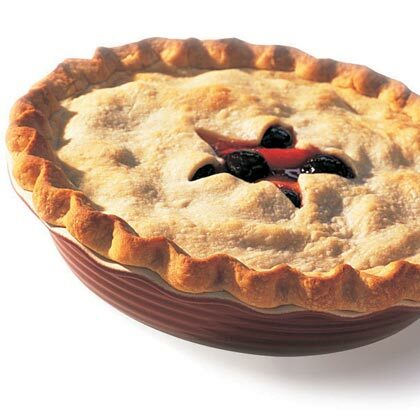 Warm, sweet, and tart, cherry pie is the first choice for lots of pie aficionados. These folks are often a lot like the fruit that fills their pies; they’ve got an attitude, but in a good way. They can come on strong, but they’re basically sweet at heart. Just like the vibrant red color of cherries, they’re not afraid to stand out. Cherry pie lovers turn heads no matter where they go. Chocolate Silk Pie. Rich and smooth, this pie is classy, just like the ones who love it best. If you love this pie, you prefer the best in life and your friends rely on you for your recommendations. Just like your taste in deliciously chocolatey pie, you have great taste in other areas of life. Key Lime Pie. 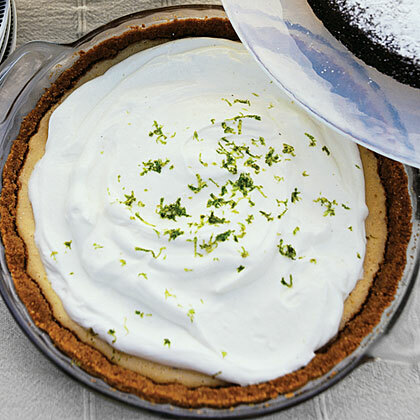 Tart, tangy, smooth and refreshing, key lime pie makes you wish it was summer all year round. Key lime pie lovers feel most at home soaking in the rays of the beach. Life is all about soaking up the important moments, and this delicious pie is one way you celebrate those moments. Pecan pie. Pecan pie lovers are the sweetest people you’ll ever meet, friendly and loving to everyone. People who love this pie are, just like the pie, a favorite that other people love to see. After all, we all like someone who brings a little sweetness into our lives. Chicken pot pie. This warm, savory, meal-in-a-crust pie is famous for its comforting ability. If this is your favorite kind of pie, you are the kind of person who brings comfort to others. Your friends know they can depend on you if they need a shoulder to cry on or an encouraging word that will uplift and change their day for the better. If all this talk of pie has put you in the mood to bake a pie, check out Sunset Magazine’s list of the 19 essential pie making tools you’ll need, and a method for making beautiful pie crust, and fill it with whatever your heart desires. Then pop it in this adorable Personalized Pie Carrier and surprise a friend with a special treat. The great thing about pie is, there’s one for every type of person. If you have the opportunity to indulge in your favorite kind of pie this January 23rd, think about how you can share the good attributes of your favorite pie with those around you…maybe even invite someone else to share your table and order a piece of pie for them, and share the love of a good piece of pie. Happy National Pie Day!